We want you to meet with your Member of Parliament to ask what they intend to do about our failed drug laws. MPs represent our interests and concerns in the House of Commons. They can propose new laws as well as raising issues that matter to you in the House. Meeting face-to-face is a very powerful way of influencing how your MP will act in Parliament. This guide provides some tips about how to go about meeting your MP, and what kind of things you can ask them to do. The first step is arranging to meet your MP. Regardless of whether you voted for them or not, it’s their job to represent and listen to all their constituents. You can contact your MP’s office by phone or by email. 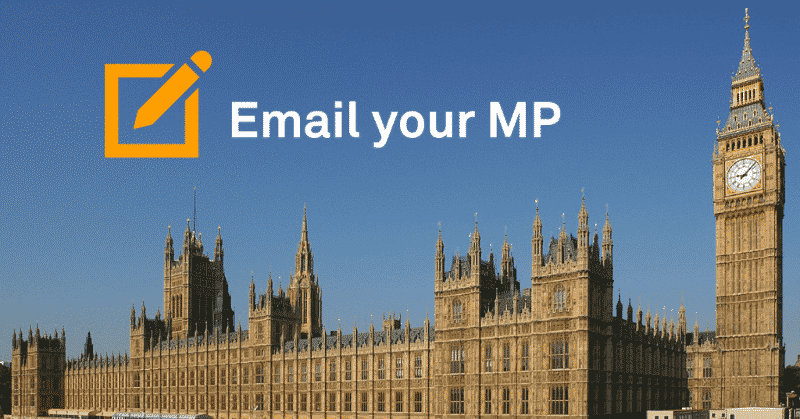 If you don’t know who your MP is or how to contact them, click the button below. Most MPs also have their own websites that include how to contact them and news about their recent activities both in parliament and in the constituency. Be polite and brief. Explain what you want to meet your MP about and the time(s) and date(s) you’d like to meet. If you haven’t heard back within a couple of weeks, then you can follow up your request with a polite phone call. Need some help? You can copy our template email as a first point of contact, or write your own if you prefer. Important: Please remember to include your address to guarantee you get a reply! Let your MP know in advance the issues you would like to discuss and who will be attending the meeting. Having a briefing paper or information for your MP to take away after the meeting is a good idea. We can provide you with an Anyone’s Child pack containing policy papers and briefing notes – please email info@anyoneschild.org to request one. Don’t be party political. Try to focus on the issues and stay polite. Your MP might not agree with you, but they may still agree to act on your behalf. In the UK there are over 70 unnecessary and preventable deaths a week due to our failed drug policies. Comparative studies of drug laws around the world show no link between harsh enforcement and lower levels of use. Legal regulation would mean controlled, not increased, availability, and through strict regulation the harms associated with drug use would fall significantly. Legalising drugs will better protect young and vulnerable people, reduce drug-related harms and make the world a safer place. Finally, it is useful to establish common ground with your MP in order to demonstrate that you both want the same things from drug policy. This allows you to discuss whether current policy actually delivers these aims, and to move the debate on to possible alternative approaches that could produce better outcomes. As an overarching position, we can always agree that we want to get drugs under control and protect young and vulnerable people from harm. Introduce yourself as a constituent who has a deep concern about the impact of the drug war. The key thing is for your MP to see how passionate you are about the need to reform our drug laws to better protect young and vulnerable people. Your MP will not expect you as a constituent to have the same level of understanding and knowledge as a policy specialist. Often you may know more than they do about the topic, but if your MP asks a question that you don’t know the answer to, be honest and tell them you will write to them and let them know. Ask what they intend to do about our failed drug laws. Write to the Prime Minister on your behalf, asking her to initiate a comprehensive independent review of our approach to drugs. Speak out publicly about the need to reform drug policy. Let them know that we can assist with this, and they need only speak out when ready. Getting your MP to agree to do something gives you a reason to stay in touch with her or him so that you can make sure they do what they have said they will. It also gives them a chance to let you know what they’ve done. Stay in touch. Write to your MP to say thank you for meeting with you, and to remind them about anything they promised they would do. If you’re on twitter, you can also send them a tweet to thank them. Please send them any of our Anyone’s Child stories and videos, and Transform’s ‘After the War on Drugs: Blueprint for Regulation‘ which sets out, for the first time, what a legally regulated system of drug control could look like in practice. Do email info@anyoneschild.org or call 117 325 0295 to let us know how you get on. Together we can make change, the time is right.